Non-Ionic Foaming Foam it leaves no residue that can cause acne and wrinkles. Enriched with Vitamin E. Applicable to all skin types. 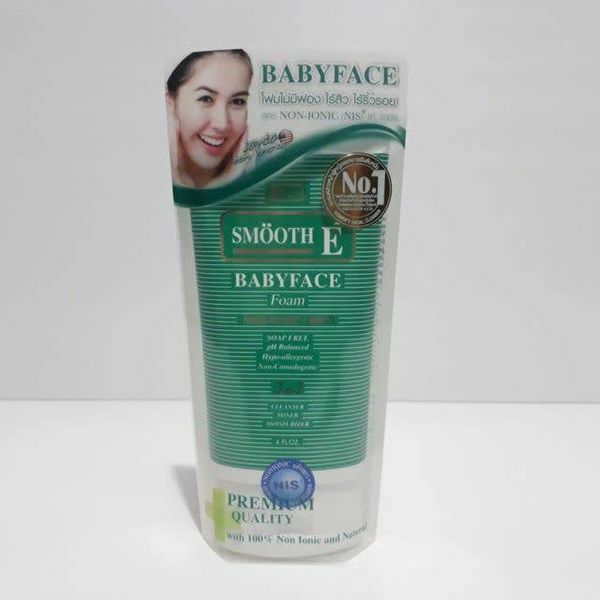 This product leaves the skin, soft and moist. Distilled Water, Slearic acid, Louryl Betaine, Coco-Glucoside, Stearyl Alcohol, Ceteareth -6 and - 25, Cetyl Alcohol, Propylene, Glycol decyl. Glucoside, Fragrance, Tetrasodium EDTA, Diazolidinyl Urea, Triethanolamine, Methylparaben, Tocopherol, Rosa Canina seed extract, Anthemis Nobilis Flower Oil, Triticum Vulgare, Wheatgerm Oil. Natural E Vitamin E Reduces wrinkles. Anti-Oxidant nourishes the skin to make it healthy. Hypo-Allergenic can be used on all skin types. Even sensitive skin.pH balance and non-comedogenic ache and alkaline balance and reduces the irritation of acne. 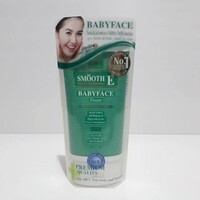 E certified by nature's Vita USA which hydrates skin to the optimum level.